Hello! I have exciting news! My "Water is Life" Quilt titled "When the Tap is Finally Turned On" is still touring quilt shows in the United States but I will get to see it in print in the next issue of Uppercase Magazine! If you are not yet an Uppercase subscriber you can subscribe here and use code "thirtythreethatsme" for 15% off. 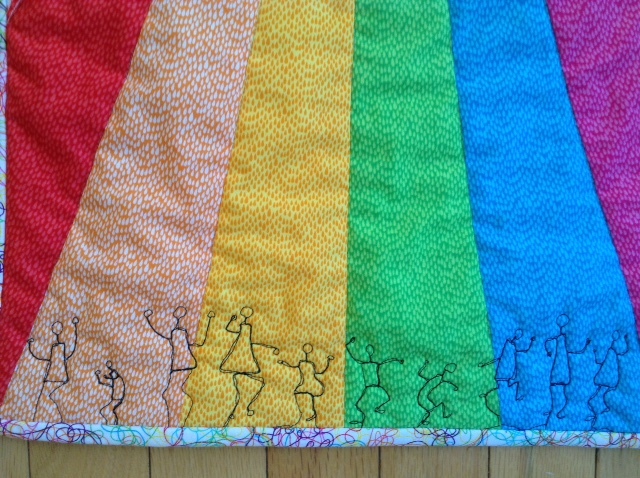 Read more about this quilt and the exhibit it is part of in this post and this update post. Find a video of the exhibit in this post.